Chianti is probably the most well known Italian wine brand around. We all think we know it but do we really? 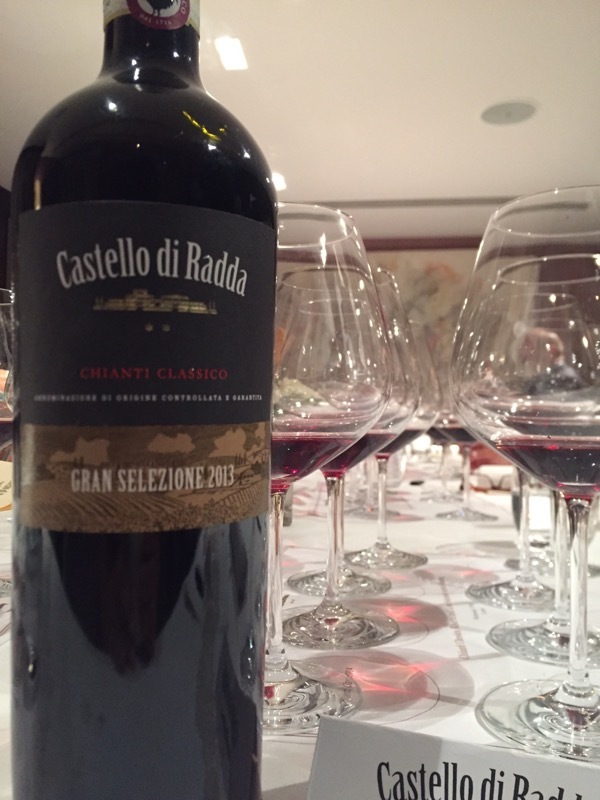 Recently I attended a dinner for Castello di Radda hosted by Italian wine expert Walter Speller. 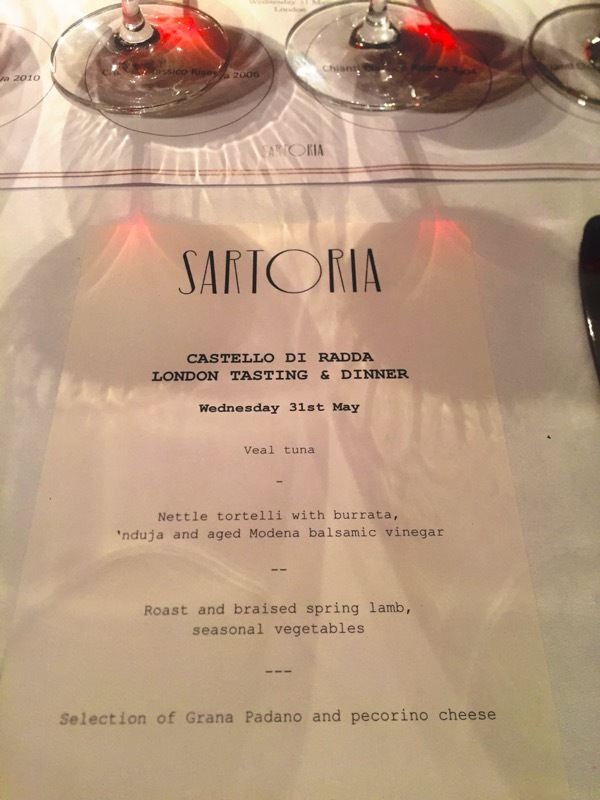 The dinner was at Sartoria in Mayfair and featured the wines of Castello di Radda paired with a four course meal. The evening started off with a grand tasting of selected vintages from Castello di Radda. 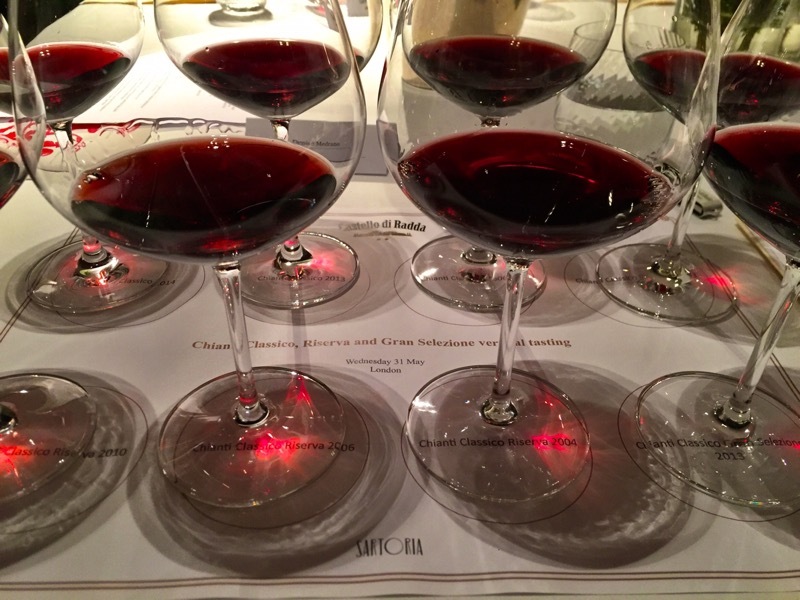 The vintages ranged from 2004 to their most recent, not yet available on the market, 2016. And included were the Classico, Riserva and Gran Selezione wines. Chianti is an old and diverse wine region. There are tax records from the 14th century that show that the region was already demarcated for wine production. Chianti is divided into various sub-regions with Chianti Classico being a separate region from Chianti. This is where Castello di Radda has its vineyards. The winery was founded in 2003 and consists of 33 hectares of vineyards located in the heart of Chianti Classico, in one of the most historic municipalities of Chianti Classico. Its entire surface area falls under Chianti Classico denomination. The Beretta family (yes, those Berettas. Here are a couple of interesting factlets: they’ve been making firearms for over 500 years and all US police departments are given Berettas as standard issue) own Radda as part of a string of prestigious Italian vineyards. Castello di Radda specialize in Sangioveses but also grow Canaiolo, Colorino and Merlot which they use for their Super Tuscan, Guss. As they strive to produce only the best wines, the have recently begun conversion to organic farming and hope to be a 100% purely organic vineyard in the near future. world’s top experts in Sangiovese, and Castello di Radda’s choice of Maurizio underlines their focus in producing 100% Sangiovese Chianti Classico wines of excellent quality. 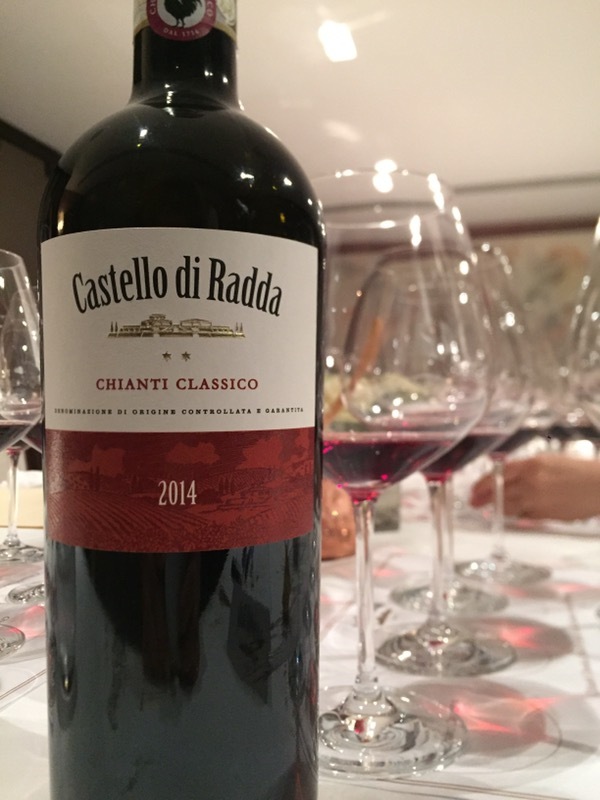 In 2010, the winery’s flagship wine, Castello di Radda Chianti Classico Riserva DOCG 2007 received Three Glasses, Tre Bicchieri, by Gambero Rosso’s guide Vini d’Italia. As I noted earlier, we tasted the Classico, Riserva and Gran Selezione wines. The Gran Selezione wines stand out as they make theirs from 100% Sangiovese and the grapes come for a single vineyard. The rules for Gran Selezione state that they need be only 80% Sangiovese and need not be from a single vineyard. With dinner we were allowed to make our own choices from the wines we had tasted earlier. 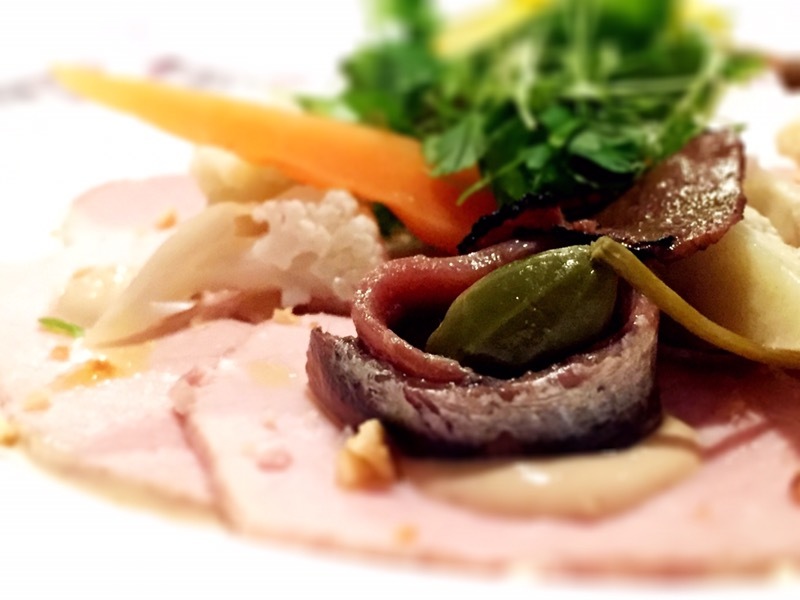 I paired the 2006 Riserva with the Veal Tuna – the 2006 had a hint of tobacco on the nose with tertiary aromas floating about. It had flavours of dry fruits and raisins with good acidity. The tannins stood out a bit but not too much and it was a fine wine to go with the veal. 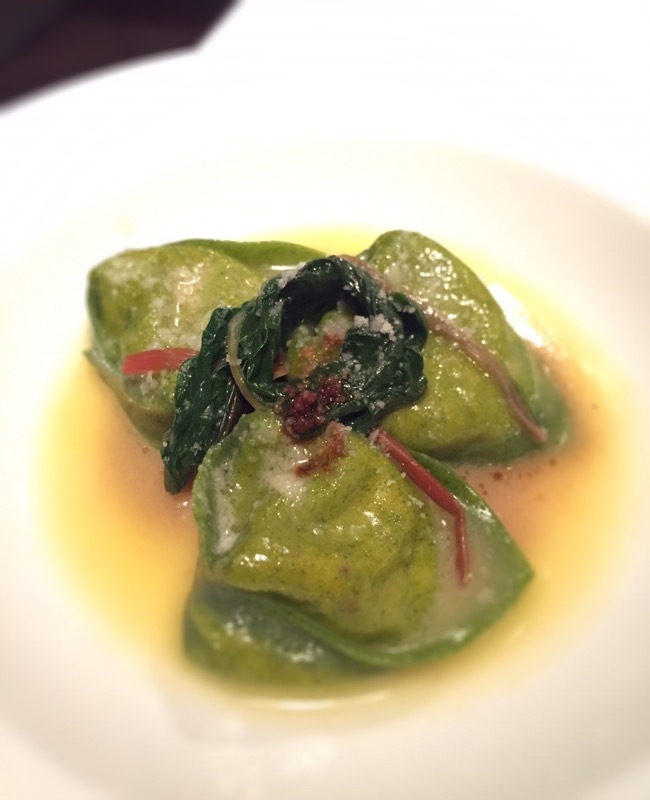 Nettle tortelli with burrata, nduja and aged Modena balsamic vinegar were a fine match with Riserva 2010. Walter said this was a great vintage and I couldn’t agree more. Sweet spice on the nose with long smooth tannins, a complex palate with a hint of tobacco on the finish. 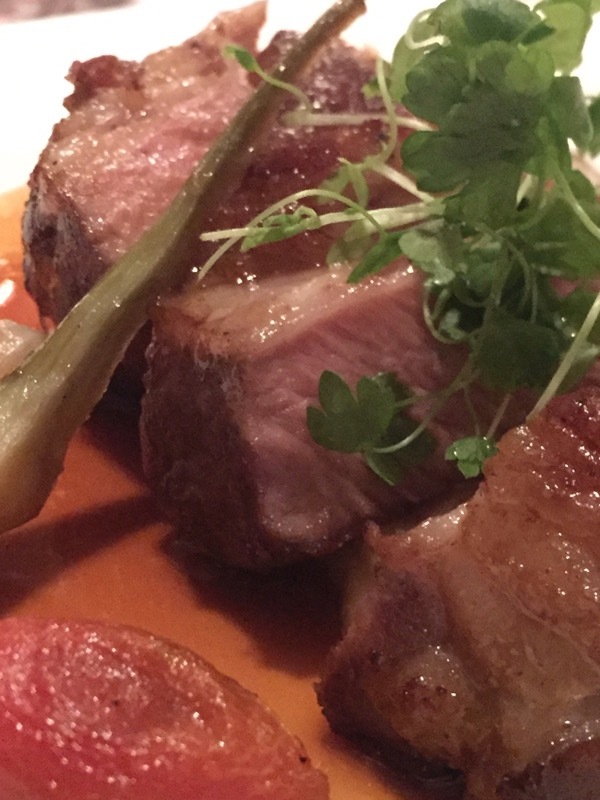 I liked the way it paired with the aged balsamic vinegar, the tangy sweet flavours seemingly reflected in the wine. The main of Roasted and braised spring lamb I paired with the 2004 Classico. It was still holding up very well, with lots of tertiary flavours, a juicy wine with very good acidity. Although, I would say this is a wine to drink now, I enjoyed it immensely. A big thank you to Castello di Radda, Sartoria and Walter for a very enjoyable and educational evening. 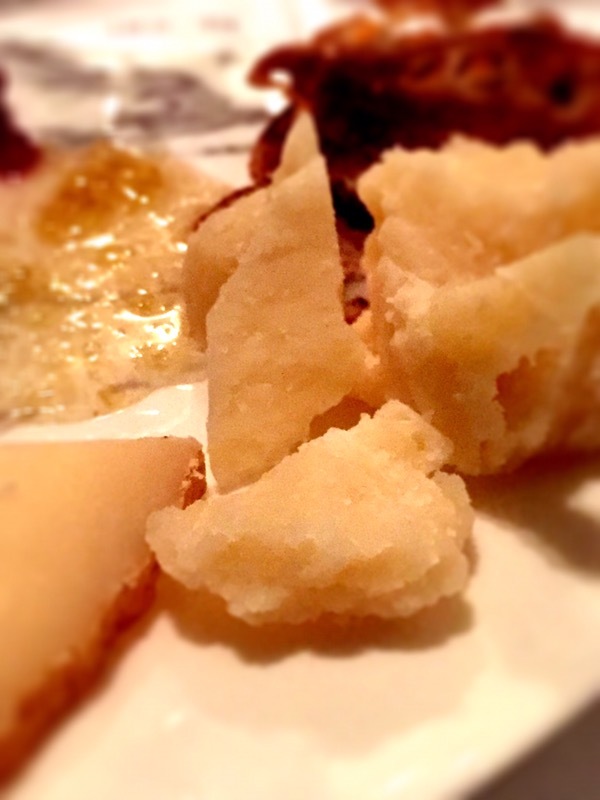 Dinner ended with a classic Italian cheese plate…pecorino and hunks of Grana Padano….mmmmm….